From family homes to luxury estates, find your perfect nest in the Glenmore real estate listings below! Glenmore homes for sale belong to a stylish and modern community in northeast Kelowna. This trendy neighborhood has a variety of real estate options for buyers with different budget ranges and is also home to a wealth of walkable amenities and schools, making it perfect for individuals and families alike. The neighborhood is located on the western edge of the prestigious Kelowna Golf & Country Club and is encircled by beautiful wooded hills, tree-lined streets, and lush open parks. The homes themselves are incredibly diverse with simple, efficient options as well as vastly luxurious ones. As a result, Glenmore homes are suited to buyers with different lifestyles and varying incomes. Anyone searching for a lovely, well-kept property in a friendly suburban area with plenty of green space will enjoy living in this pleasant and welcoming subdivision. Explore all Glenmore homes for sale by searching through the listings below. Or, continue on to learn more about Glenmore real estate and local amenities! Sign up for an account with Vantage West Realty and unlock exclusive access to new property listings and advanced search tools. Glenmore can be a competitive place for home buyers, so stay ahead of the market with our informative home updates! The Glenmore real estate market is rich with inventory, including many fresh and exciting residential options. The market's lowest-priced properties are primarily 1 and 2 bedroom condos at around the 1,000 square foot mark. These lovely living spaces may not be exceptionally spacious, but they are often located within gorgeous newer condominium buildings and feature high-quality finishes such as high ceilings, granite countertops, and soaker tubs. These efficient condos are great for young professionals or those who simply prefer the ease of low-maintenance living. 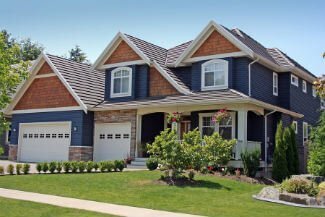 Further up on the market, buyers can find a mix of new and established detached homes. While the neighborhood features a collection of 20th century cottages and split-level residences, Glenmore stands out due to its abundance of new construction houses, condos, and townhomes. Sleek contemporary townhouses and condos can be found throughout the community with gorgeous appointments such as wood floors, mountainview patios, quartz countertops, and energy-efficient appliances. Some units are quite elegant and spacious, ranging into the high $600,000s and spanning over 2,000 square feet. From the $600,000s upward, the Glenmore market is defined primarily by single-family homes. There are more established homes built between the 1970s and early 2000s, most with large yards and spacious rooms perfect for family living. In addition, there are many recently built Craftsman homes with upscale finishes, majestic gated estates on large private lots, and architecturally stunning contemporary mansions which range well into the multi-million dollar range. Glenmore's luxury homes can price at above $4,000,000 and showcase model home-worthy executive detail. Panoramic views, wine cellars, and in-ground pools are just a few of the select features you can find in these stunning manors. These high-end homes are often located within some of Glenmore's swanky subdivisions such as the glamorous Highpointe Terraces neighborhood. Glenmore is an amenity-rich district with a perfect balance of recreational amenities and necessary conveniences. Banks, restaurants, and shops are often within walking distance of Glenmore homes and condos. The Kelowna Golf & Country Club is a community landmark where residents can golf, play tennis, dine and socialize, or host a catered event. Wonderful local green spaces such as Redlich Pond Park, Jack Robertson Memorial Park, Calmels Park, and Sonora Park provide nice, open spaces to toss a Frisbee, go for a run, toboggan, or simply enjoy the fresh, clean air. Several of these parks also host athletic amenities such as sports fields, trails, and baseball diamonds. In Glenmore, you're never far from nature getaways such as the beautiful Knox Mountain Park; however, Kelowna's bustling downtown is also just moments away. Here, you can easily run errands in the neighborhood, spend the day in nature, or enjoy the food, culture, and cosmopolitan lifestyle of Kelowna. With Glenmore real estate, it's easy to create your ideal Okanagan lifestyle. Connect with Vantage West Realty today if you have any questions about Glenmore homes for sale or the Kelowna real estate market!